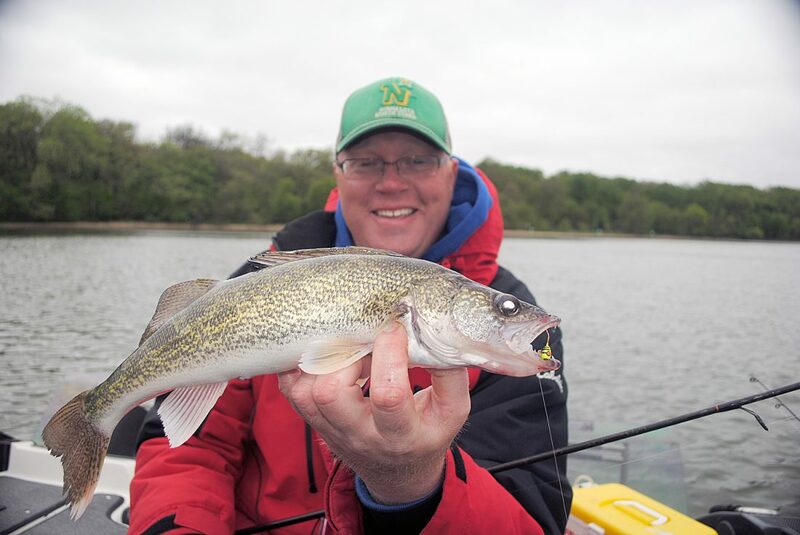 Here’s our fishing friend Bill Bunn with a jig-caught spring walleye from Clear Lake in north central Iowa. Clear Lake is an outstanding early season walleye lake. Many walleye anglers consider early spring to be their favorite time of year to chase their favorite fish. 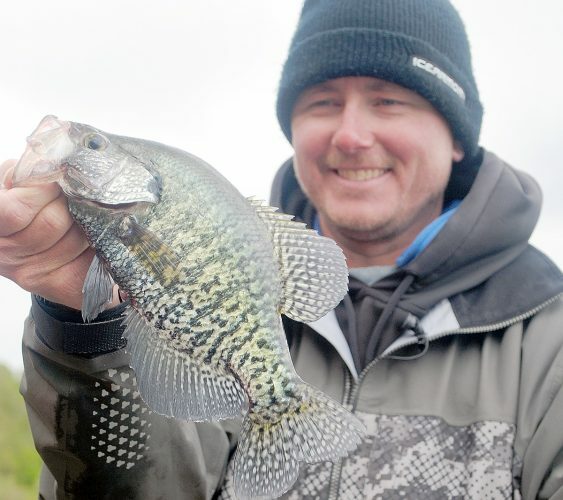 Rivers across walleye country, and many lakes and reservoirs in the same region, are seeing lots of anglers after walleyes. There are some states or areas where walleye season is closed, but there are plenty of places where we can get after walleyes right now. And, for many of those anglers, walleye fishing right now means jig fishing. Here are some ideas for catching walleyes on jigs during the next few weeks. Many of the most successful walleye anglers will tie on a jig with a short shank and wide hook gap. 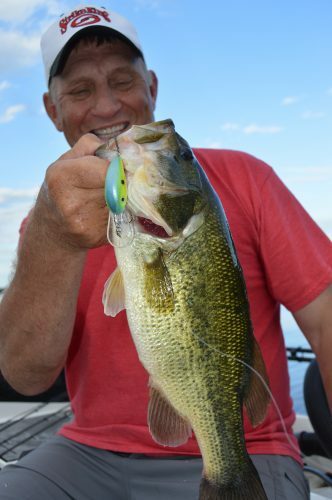 Fire-ball Jigs are an outstanding example of this style jig. Walleyes prefer a smaller bait presentation this time of year, and with the Fire-ball you can provide that presentation. 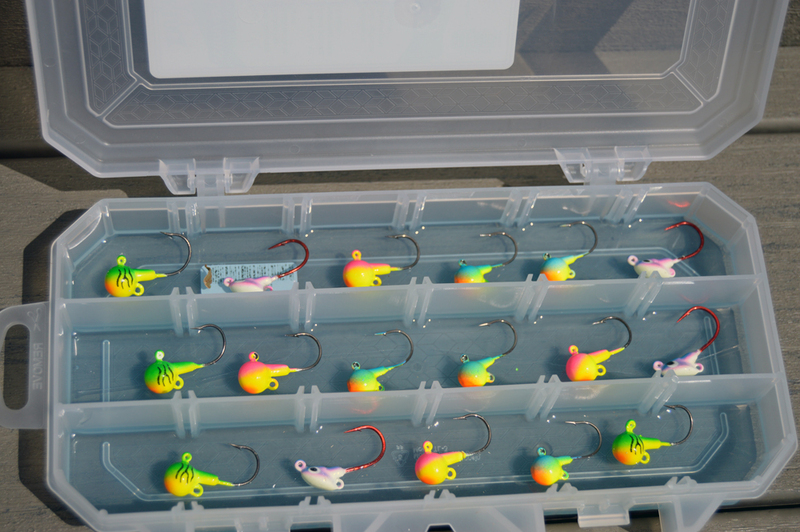 A minnow is usually the preferred addition to jigs for the first few weeks of walleye season. Put the hook in the minnow’s mouth and out the back of its head. By doing so, the minnow’s mouth will be right against the jig. This creates the image of a small presentation.